I must admit, the bright pinkish, floral cover of this novel, as well as the description about mother-daughter psychic damage, gave me pause, as I generally don't like touch-feely fiction unless I'm in a particular mood, but Knopf often publishes books I like, and I decided to give this strange sounding plot a whirl. While this will not go down on my list of all-time favorites, I may have to start list for best books with improbable plots just to put this one at the top. 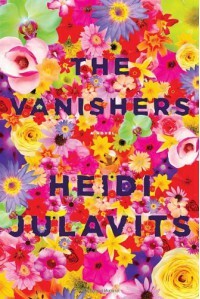 The Vanishers by Heidi Julavits turned out to not be in any way touchy-feely, and is in fact a rather dark and humorous tale wrought with anxiety and unwitting revenge. What? Exactly. The Vanishers tells the sporadic, sardonic tale of Julia Severn, a young psychic prodigy who unexpectedly meets her match in her mentor at an elite university for parapsychology. Or rather, unexpectedly discovers she is her mentor's match. She then begins to suffer from a myriad of mysterious ailments, presumably somewhat psychosomatic at their root, or psychically afflicted by her mentor, and is accosted by some odd characters (one is described later as emitting a "carcinogenic unhappiness") that claim they can help "cure" her. They describe the process of disappearing oneself from one's life when it becomes to much -"vanishing"- as an alternative to suicide. Not that Julie's necessarily suicidal, but they had heard of her psychic prowess and needed her help to track down some long lost film. In order to recover, they tell her, she will have to "vanish" herself. The plot has many twists and turns and unlikely connections, and is anything but conventional. Julavits uses many vivid descriptors, which at times subtly imply the novel's themes, such as "With her doll eyes blinking from her scavenged face, she resembled a person buried inside another person." Julie's own mother had committed suicide when she was a baby, and elements of how it affected her relationship with her father, who would only wax philosophical when asked to describe what sort of mother she would have been: My response would not be a truthful attempt to answer your question, it would be an attempt to compensate for your loss by creating an ideal person whose absence you can mourn unreservedly. 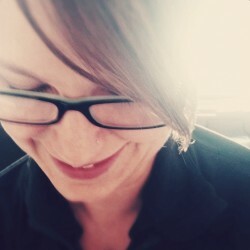 However, this puts me in the position of making her into someone she was possibly not; it forces me to falsely represent her to you, and in doing so I become, not the keeper of her memory, but the re-creator of her past, and that role makes me uncomfortable; also I believe it is, in the long run, a disservice to her, because you will grow up missing a mother that you would never have experienced, had she not died. And this strikes me as a second kind of death, a more complete and horrible death, to be annihilated and replaced by a hypothetical person who is not remotely you, thus I think it is better that she remain a quasi-mystery, a pleasant unknown, than an absence filled with compensatory narratives supplied by your guilty father.Elements of suicide, the past intersecting the present, revenge, and the precarious relationships forged between women are woven throughout the story. Because I’d decided—this kind of hating, this kind of fault-finding, this kind of symbolic matricide, it had to stop. If I’d formed an allegiance to Irenke, it was because I’d decided that to befriend Irenke was to ensure that my mother’s death did not perpetuate more pointless, self-defeating rivalries among women who, in the end, were only killing themselves.I cannot do the plot much justice here, and it's complications almost run away with themselves, but the uniqueness of the storyline won me over in the end. *I received this copy courtesy of Knopf Doubleday via NetGalley.